It was a pretty warmish day here yesterday, so I thought a summer salad meal was in order for dinner. I used to make this a lot when I was in college, but it’s slipped from my repertoire in the past many years and figured it was a good time to dredge it back up. I had intentions of making home-made Italian salad dressing for this, but after all the chopping, slicing, and dicing I decided bottled dressing would do the trick just as well. I had a “light” bottle of Ken’s Steak House Italian with Basil and Romano, and I’m sure I couldn’t have done much better with what I had around in the kitchen. I have also made this salad with Kielbasa sausage, but but since we just had Smoked Sausage earlier in the week I decided to use the spicier Pepperoni. The Pepperoni gives it a good tang so didn’t have to load it up with extra spices beyond black pepper. 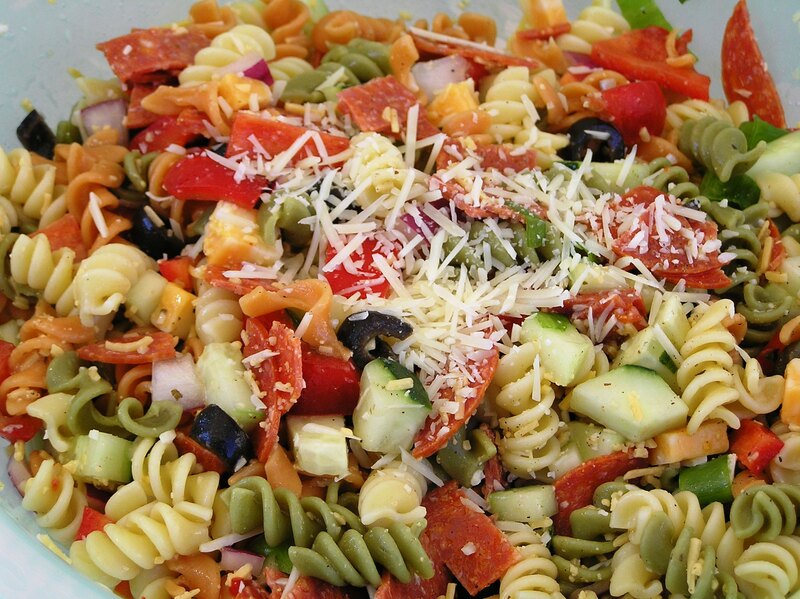 This makes a really large bowl of salad, and is perfect to take to potlucks and parties. No party here last night, but it made a refreshing dinner on the back porch. Cook the pasta according to directions, and cool under running cold water. Set aside to drain while prepping the veggies. 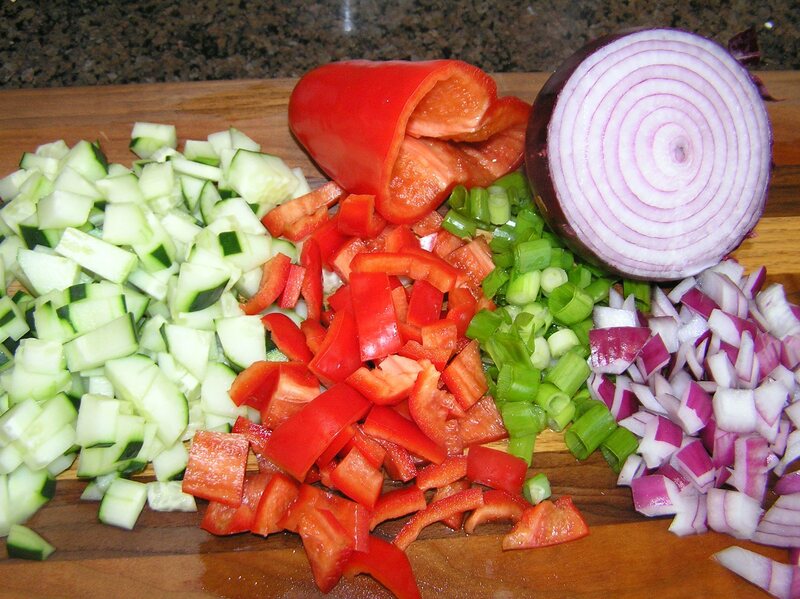 Mix all the ingredients in a large bowl, adding the various cheeses, salad dressing, and black pepper to taste. Just keep mixing in until it “tastes right.” You’ll want to prepare this a few hours before eating and store in the refrigerator so that the flavors can meld. When ready to eat, serve with a side of fresh fruit and bread, and you have a simple, delicious summer meal!